Ad from Sears Catalog for a common American home kit. When you look at FHA loans Los Angeles, have you wondered where the Federal Housing Authority came from? 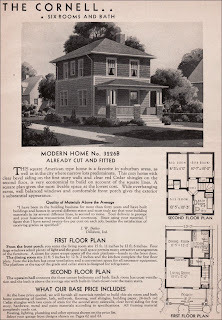 The housing market was not always as complicated as it is today. 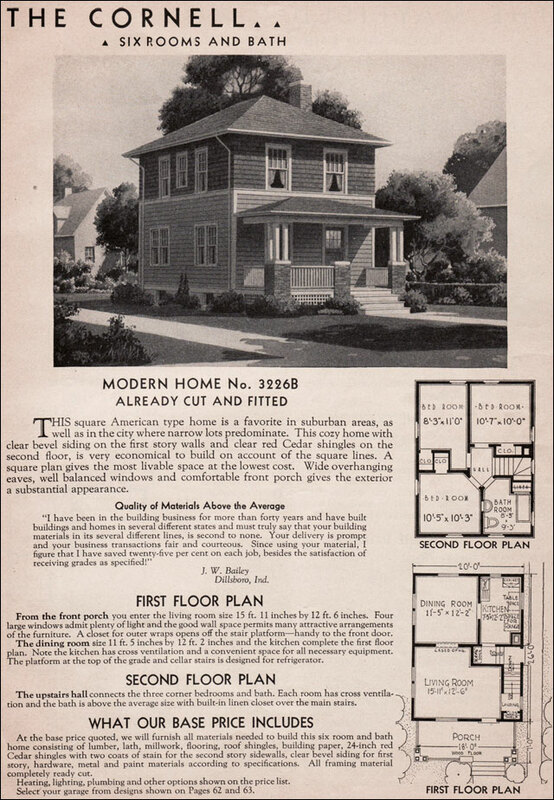 Before the 1930's, less than half of Americans owned their home. Owning a home was a privilege, and the idea of the American Dream had yet to be born. Perhaps your grandparents remember a time when houses had to be purchased in one lump sum. Since few people had the ability to save such a large sum of money, most families rented. Then came the Great Depression, changing the economy drastically, and subsequently the housing market. Many homes were in foreclosure, and the Federal government had to find a way to respond. They responded with the New Deal, radically restructuring the US economy. As part of this, they established the Federal Housing Authority, which insured home loans for banks so that they could make loans with small down payments and monthly mortgage payments. This enabled many Americans to become homeowners for the first time.